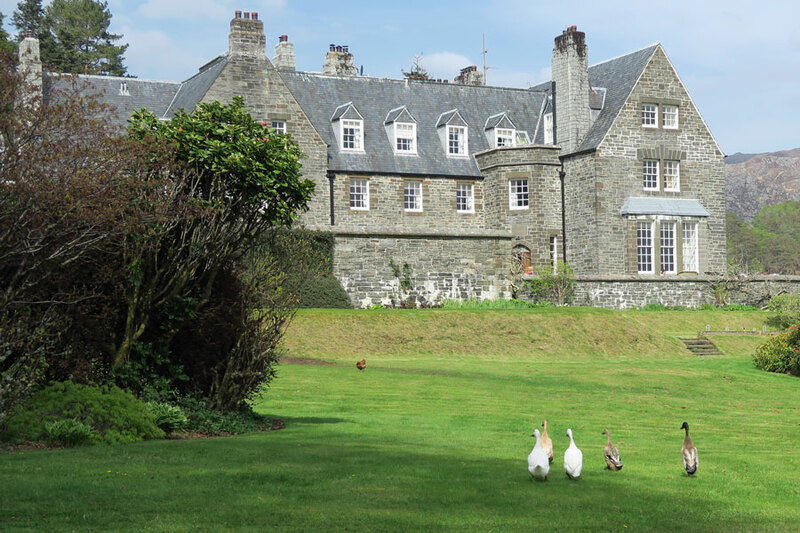 Arisaig House was originally built in 1864, The Victorians tended to build their houses on a grand scale. Big well proportioned public rooms with wood panelling and high ceilings, bedrooms with plenty of space and interesting corners with recesses for window seats. The house was a highly-regarded Relais Chateux until 2002 when it reverted to a private home and has lent itself well to gradual modernisation; so that now the bathrooms have splendid power-showers, fluffy towels and a generous selection of luxuries. A typical bedroom will have its share of views: the rose garden, the woodland garden beyond, and to the sea and maybe an island or two. The wonderful light is a constantly changing backdrop with the chance of a finale of a full west coast sunset blazing and gradually fading. Peace and comfort pervade.